Testifying at the trial for Ahmed Abu Khattala, the alleged mastermind behind the Benghazi terror attacks in 2012, Agent Scott Wickland revealed the haunting last words uttered by Ambassador Chris Stevens. As militants stormed the diplomatic compound and smoke enveloped them that fateful night, Wickland tried his best to save the Ambassador and information officer Sean Smith by leading them to a bathroom with an open window. The agent recounted Stevens last words to him as he came to accept his fate. “When I die, you need to pick up my gun and keep fighting,” Stevens told him. Those are 13 words that should forever haunt former Secretary of State Hillary Clinton and President Barack Obama. Not only did the Obama State Department fail to provide adequate security for Ambassador Stevens leading up to the attack, but they failed to figuratively pick up his gun and keep fighting after the attack. 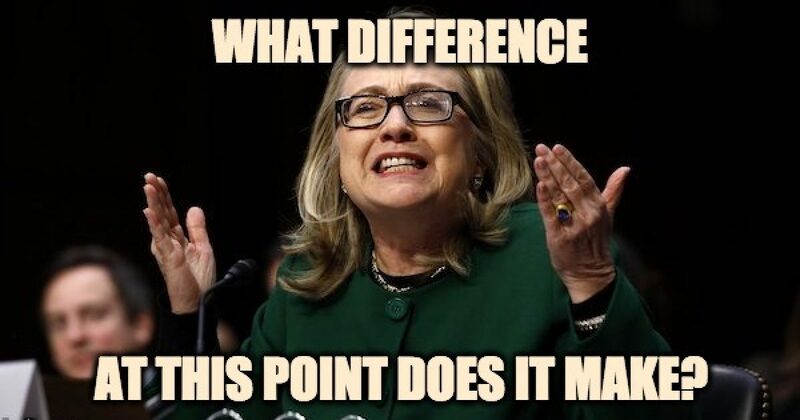 Kris Paronto, a former Army Ranger and military contractor, and commando John Tiegen, both individuals who survived the Benghazi attack, have consistently refuted government claims that there was no ‘stand down’ order that day. “That’s just silly,” he told Megyn Kelly. Multiple sources had previously confirmed that CIA operators in Benghazi asked for help three separate times and were denied those requests each time. Smith’s mother, Pat Smith, said she believes there was a stand down order. Meanwhile, a shocking new report this past month indicated contractors charged with shoring up lax security in Benghazi were forced to keep quiet and toe the Obama Administration’s line on what happened in the following weeks. “A U.S. ambassador is dead and nobody is held accountable for it. And three guys … all died trying to defend him,” said Jerry Torres, one of the security contractors. In other words, nobody picked up a gun and fought against these terrorists either before or after Stevens’ death. Stevens’ reaction in the face of certain death was incredibly courageous. The Obama administration’s reaction in the face of political fallout on the handling of terrorism just before the 2012 election is nothing more than pure cowardice. What do you think when you hear Chris Stevens’ last words? Share your thoughts below.